Sports Den is a High School Sports Show dedicated to the athletes from Blaine, Centennial & Spring Lake Park. 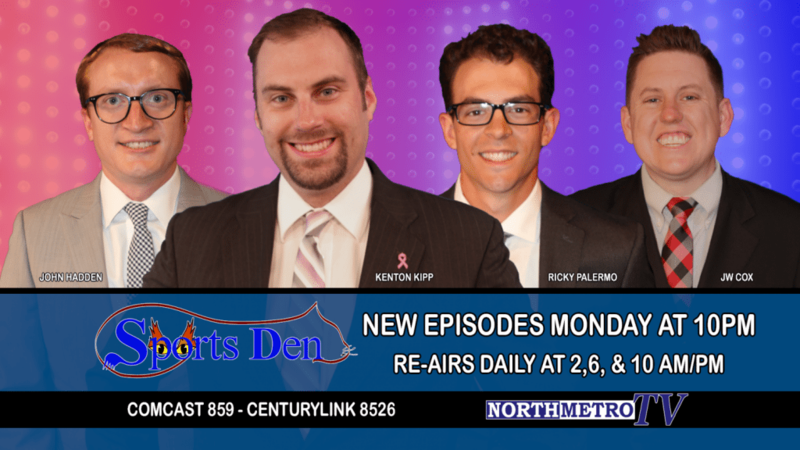 Sports Den airs live every Monday at 10:00 p.m. on North Metro TV throughout the high school sports season. You can also watch the show daily at 2:00, 6:00 & 10:00 a.m. or p.m. Visit our YouTube page for a complete archive of Sports Den segments including full-length episodes, Highlights & “Coach & Captains” features.